I started pulling books off my shelves in order to write this post, (or more accurately, pulling books off the piles in front of my shelves) and I realized that I have been on a bit of a non-fiction book buying binge. Of the eight books I am mentioning here only two are fiction. 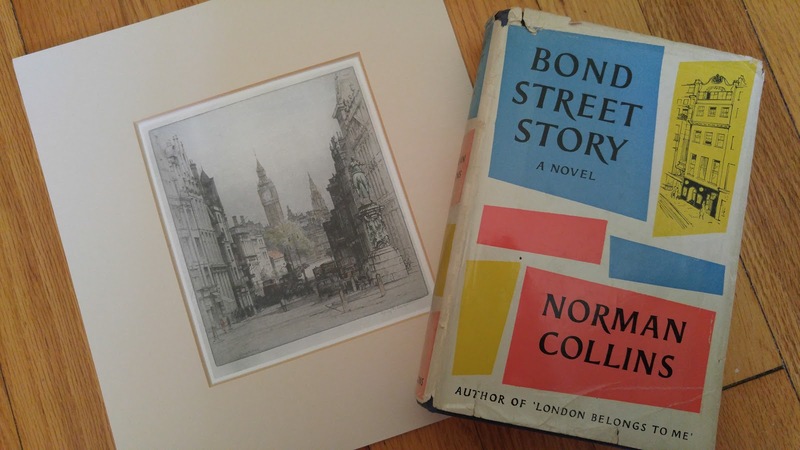 One is pictured above, Bond Street Story by Norman Collins. I read London Belongs To Me by the same author last year and greatly enjoyed it. Here is my review. I have been meaning to read something else by him so I am happy with this purchase, especially since the book arrived with such an awesome dust jacket. 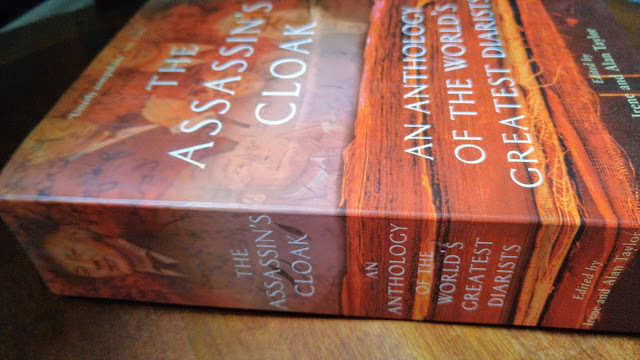 When you buy books online you are never quite sure what they will look like when they arrive so it is a pleasant surprise when they are pretty as well as readable. The next two books were recommended by a kind reader. The Grand Tours of Katherine Wilmot is just what it sounds like, the journals of travels through Russia and France in the very early 1800s. The blurb on the front describes Katherine as "clever, witty, and curious" so it should be fascinating. 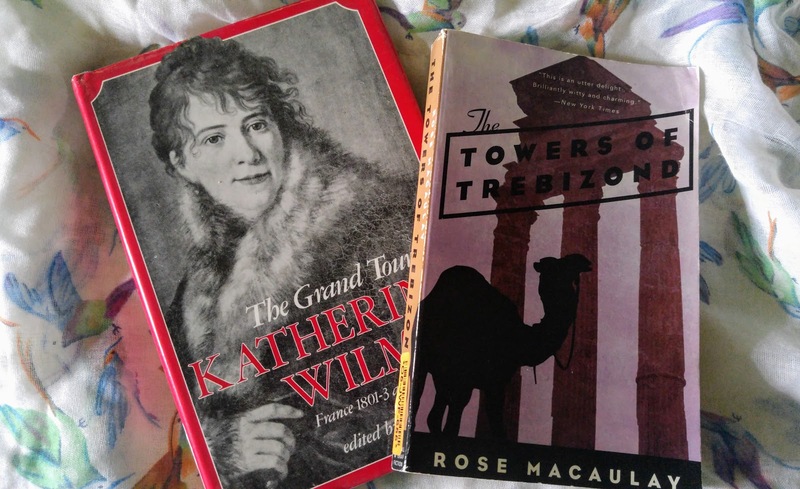 The other recommendation was The Towers of Trebizond by Rose Macaulay. Macaulay is an author who is familiar to me but I have never read this. It "tells the story of an eccentric party of English who set off for Turkey to explore the possibility of establishing a religious mission there." As one does. I have been meaning to buy Nella Last in the 1950s for a while. I have read the other two books in the series and loved them. I don't know why I never bought this but I have remedied that problem. I am hoping to get to it soon. Hopefully, before my book stacks overwhelm my house and I completely forget what I own. 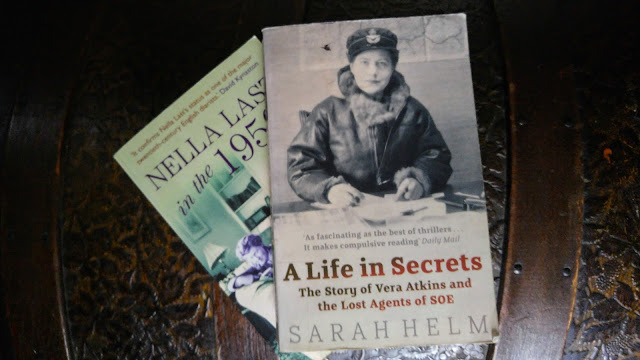 I also bought A Life in Secrets-The Story of Vera Atkins and the Lost Agents of SOE. I think I just stumbled across this in a list of WWII non-fiction. It is the account of Atkins' "search through the chaos of Allied-occupied Germany to establish the fate of the agents." It sounds fascinating even if a bit harrowing. I enjoy reading books that tell me all about how people lived in a different time period. I want to know how they dressed, what they ate, what their everyday life was like. If those books are about life in England, then all the better. I bought Dr. Johnson's London by Liza Picard. It is subtitled "coffee-houses and climbing boys, medicine, toothpaste and gin, poverty and press-gangs, freakshows and female education." 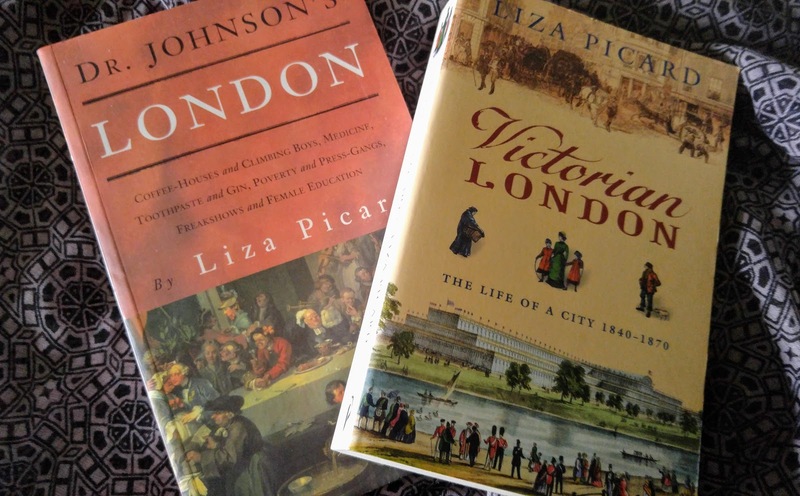 I am hoping it lives up to my expectations especially since I bought a second book by Picard, Victorian London--The Life of a City 1840-1870. My last book purchase is The Assassin's Cloak--An Anthology of the World's Greatest Diarists. I love reading diaries, they are such a perfect glimpse into a world and thoughts of the past. This is taken day by day through the course of a year. Each day has a few short entries from different people and different time periods. I am considering trying to read it a day at a time starting with the new year. Does anyone think I can be that organized? I have my doubts. 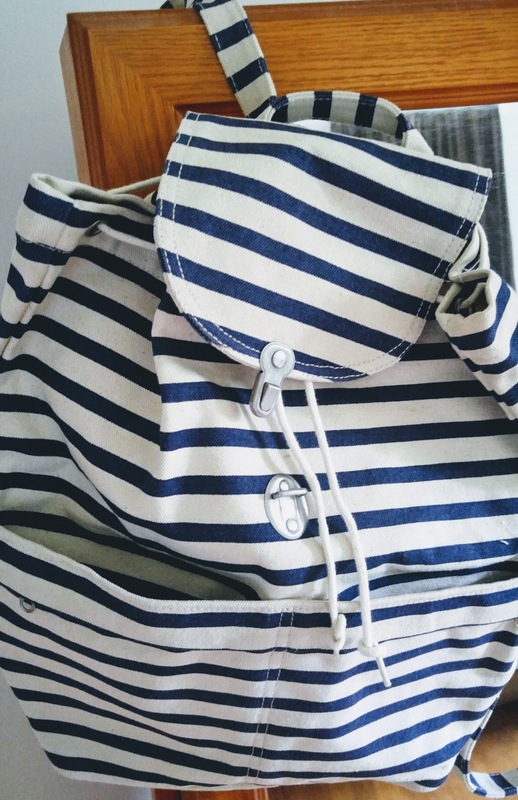 And last of all, and not a book though it will be used for carrying books, I bought a new backpack and I love it. I wanted something to carry my camera and books on my excursions over the summer. I had a crossbody bag but it would swing forward and get in my way every time I would crouch down to take a photo. I think this will work much better and, besides, it just makes me happy so I am showing it to you. It does make a change from my many, many tote bags. Do you enjoy non-fiction? Do you have any recommendations for me? Since, obviously, I am not buying enough books and I need to fix that. I do love gloating over other people's book purchases - though it leads me into temptation. I haven't read any of the Nella Last books yet, and clicking on the "you might like" buttons above, I found your post about the woman working in a shop & keeping a MO diary. That is going on my reading list! I enjoy reading about people's book purchases too. It is like shopping vicariously--some of the satisfaction with none of the expense. I am fascinated by the MO diaries. I own way too many at this point but I still find myself buying more. I really enjoyed all three Nella Last books and that Sarah Helm one looks right up my street. I love your backpack, I've never used one but I'm tempted to as I find cross over bags very annoying, especially when going up and down spiral staircases, which I seem to be doing a lot of. I'm envisaging a life that involves a lot of spiral staircases. Probably it isn't as glamorous as it sounds! I think the backpack will work well once it is broken in. Right now, it is quite stiff canvas. I wish I could visit all the National Trust properties. I regularly look up various locations I will probably never make it to, especially considering they are across an ocean! And now I will have to look up Historic Scotland. I am sure that will add to my list of dream trip destinations.